Daily Illuminator: Guest Artist Con Schedule: Katie Cook! March 28, 2016: Guest Artist Con Schedule: Katie Cook! 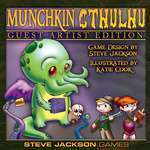 Convention season is upon us, and Munchkin Cthulhu Guest Artist Edition artist Katie Cook may be coming to your town! 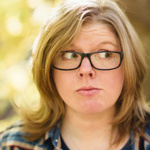 Katie is known for her webcomic Gronk: A Monster's Story, as well as fan favorite expansions like Munchkin Love Shark Baby, Munchkin Kittens, and the upcoming Munchkin Puppies. She'll be making an appearance at our booth at Emerald City Comicon, and will be attending many more cons throughout the year. If you're in the area, swing by one of these events and have your Munchkin swag signed by an amazing creator!